sunshine blog » Airport Lounges: Welcome Respite or Wasteful Luxury? Airport Lounges: Welcome Respite or Wasteful Luxury? Today’s topic is an interesting one: airport lounges. I find most folk tend to be in one of two camps: either you think airport lounges are the best thing ever, or you can’t believe anyone would pay for such a waste. Well, I agree with both camps. Some airport lounges are well worth the money. And some, er, are not. I used to have a software consulting job, and I’d travel almost 200k (air) miles a year. I was in airports fairly often, every week. Because my company at the time reimbursed me, I had one of those fancy lounge cards that gets you into most lounges. I learned a lot about when that card was a lifesaver and when it was a total waste. Here are some tips for knowing the difference. 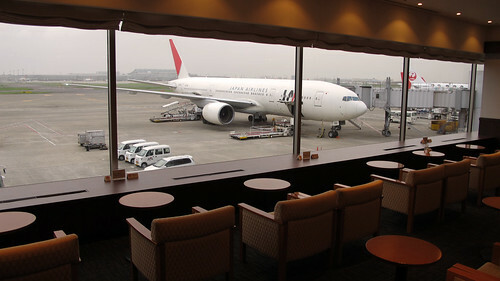 Lounges vary by country, as well as by the airline carrier or 3rd party who provides the service. For example, in the United States, lounges rarely offer free drinks, where it’s serve yourself whisky and champagne in Canada or Australia. But that’s not a hard and fast rule. Some smaller lounges impose time limits to allow you to only enter up to 3 hours before your flight, while others don’t really even pay attention. In larger airports – particularly international hubs like San Francisco and Frankfurt – lounges are designated arrival lounges and departure lounges. So, if you have access only to the departure lounge, don’t count on having a nice shower in the arrival lounge. What about guaranteed access? Do you have to have tickets on a particular airline to get in? How early (or late) is the lounge open? There’s so many variables, I could go on for days – my point is that when you see that your departure airport has a lounge you can use, click on that link and look at the details. Visit a forum like Flyertalk, which has lounge reviews, so you have all those details on what the lounge does and doesn’t offer. Faster Access to Staff in Irregular Operations: If weather or a flight delays affected any of my flights, my first plan was always to march right into that lounge; the staff there always seem to have special privileges. This, of course, depends on whether it’s an airline lounge, a shared airline lounge, or a 3rd party provider. Complimentary Food and Drink: Sometimes this isn’t much, and other times I’ve been totally surprised. Serenity. Now, an airport lounge is not a yoga studio, but it is much quieter than your hustling terminal, particularly in times of delays or holiday periods. Electricity (and sometimes Wifi): When I was frequenting lounges, we had this old fashioned thing called wired Internet. Now, of course, lounges are installing Wifi, and they’ve always had one luxury that seems to be an ultra-premium in airports these days – electric outlets. Exclusivity: When you’re going on a holiday, you’re treating yourself. And even when you have to pay for your bubbly, airport lounges always seem to have that feeling of exclusivity. It’s a great treat esp. for a romantic trip or for someone special. Ask yourself, what are you looking for in a lounge – all of the above? Just some place to relax? Then compare that to what the lounge offers, as well as of course the price and any restrictions. Put those together and you can easily decide when is the right time to kick back and just… lounge.